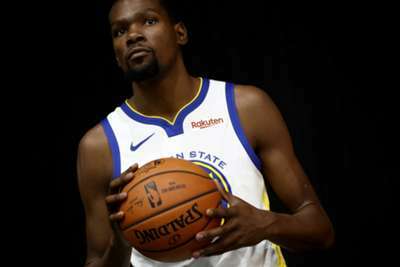 Golden State Warriors star Kevin Durant said he will be transparent about his future plans ahead of the 2019 NBA free agency period. Durant, 30, is set to become a free agent next year, having opted not to sign a long-term deal with reigning champions the Warriors in the offseason. 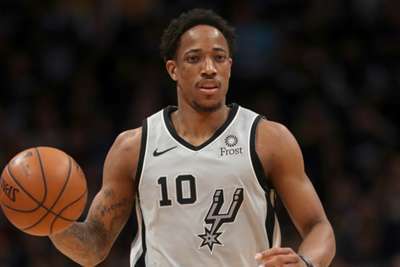 The two-time NBA Finals MVP – who has helped Golden State to back-to-back titles – is no stranger to free agency and the attention it generates. Durant swapped the Oklahoma City Thunder for the high-flying Warriors in 2016, sparking criticism after eight years with the franchise. The speculation is set to dominate headlines again but nine-time All-Star Durant, who remains undecided on his future, is ready for the scrutiny. "Just be honest," Durant told ESPN. "I was honest with my decision, but just like outwardly if people ask me about it, don't be ashamed to talk about why I decided to move teams and switch teams because it's not the end of the world. I didn't do anything against the law, you know what I'm saying? That's what I thought happened the first time." Durant added: "I dealt with it before. I just try to be as honest as I can. I'm not going to tell people what I'm thinking. ... Some days I think about my free agency, some days I don't. "Some days I think about what my future looks like, some days I don't. I'm just human. That's just natural for me. But I can't sit down and talk to people about it because I want to keep playing, I want to focus on the season. "So I know the questions are going to come. I know a lot of people are going to speculate and print rumours and sources, but nobody's heard from me about anything, so it's just all speculation at this point." "It's just where I want to play ball at, where I'm most comfortable, where I feel most at home, and I feel at home here," Durant said. "I feel like I belong here. I feel like I mix with this team, I mesh with this team well. "With that being said, I really don't know what's going to happen this summer. But I really, really feel like a part of this team. We got two banners up there, my picture's around here somewhere so I feel like I'm a part of this thing - but at the end of the day, we're staying in the moment. "We're trying to embrace every single moment. I'm not saying we're going to win a championship at all, but we're just focused on having a good practice today, having a good practice tomorrow and then we'll see what happens at the end." "I'm here," Durant continued. "I'm 100 per cent committed to this team this year and going as hard as I can every single day to be the best player that I can be to help this team win. It's going to be a lot of speculation on where I should go play ball, but at the end of the day it's just me playing ball. It doesn't really matter. "I'm just playing ball, you know what I mean? I'm not making a huge, huge decision that's going to affect anyone else, but just myself, so I don't even know why everybody cares that much."